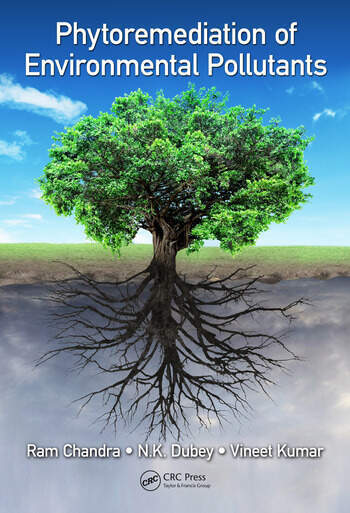 Phytoremediation aids to augment bioremediation as it uses broad range plants to remediate soil, sediment, surface water and ground water that have been contaminated with toxic metals, organic, pesticides and radionuclides. 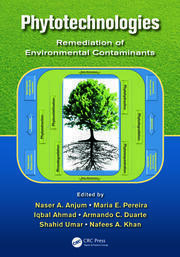 This book serves to disseminate detailed up to date knowledge regarding the various aspects of phytoremediation and plant-microbe interaction. 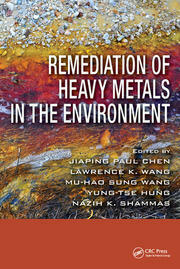 The book highlights process and molecular mechanisms for industrial waste detoxification during phytoremediation in wetland plants, role of endophytic bacteria for phytoremediation of environmental pollutants, constructed wetland treatment system for treatment and recycling of hazardous wastewater, amongst other relevant topics. Focuses on phytoremediation process for different pollutants, mainly heavy metal detoxification in the presence of other co-pollutants. Includes plant-soil-microbe interactions in phytoremediations and remediation of contaminated water. Explores life cycle assessment of industrial waste contaminated site with organic pollutants. Discusses hyperaccumulator versus non-hyperaccumulator plants for environmental waste management. Includes bacterial assisted phytoremediation and siderophore formation in specific environmental conditions. Ram Chandra is currently Professor & Dean, Department of Environmental Microbiology, School for Environmental Sciences at Babasaheb Bhimrao Ambedkar (A Central) University, Lucknow, Uttar Pradesh, India. He obtained his M.Sc. from Banaras Hindu University, India in 1987. Subsequently, his Ph.D. was awarded in 1994. He has leading work for bacterial degradation of lignin from pulp paper mill waste and molasses melanoidins from distillery waste. He has published more than 100 original research articles in peer reviewed journal of high impact. 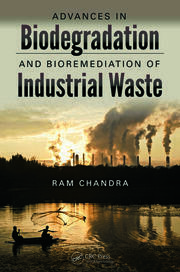 He has also published 06 books and 22 book chapters on biodegradation and bioremediation of industrial pollutants. He has been awarded Fellow of The Academy of Environmental Biology (FAEB), Fellow of Association of Microbiologists of India (FAMI), and Fellow of The Biotech Research Society, India (FBRSI). N.K. Dubey is currently working as Professor in Centre of Advanced Studies in Botany, Department of Botany, Banaras Hindu University, Varanasi, Uttar Pradesh, India. He obtained his M.Sc. and Ph.D. from Gorakhpur University, Uttar Pradesh, India. He has more than 227 Publications, 04 Patent and 06 Books in his credit. He has 33 years of teaching experience besides he is recipient of several awards, such as the National Academy of Science, India, SR Memorial Gold medal for best teacher of the faculty of science, BHU and Young Scientist Award of Indian Science Congress Association. He has also work in several administration capacity also in University. He has visited Japan, France, South Korea, Belgium, Malaysia, U.K. and Italy. Currently he is also working as Member of Editorial Board of several National and International general. He has guided several M.Sc. and Ph.D. student. Vineet Kumar is currently a Ph.D. scholar in Department of Environmental Microbiology, School for Environmental Sciences at Babasaheb Bhimrao Ambedkar (A Central) University, Lucknow, Uttar Pradesh, India. He received his M.Sc. and M. Phil. from Ch. Charan Singh University, Meerut, Uttar Pradesh, India in 2010-11. His research is focused on understanding the mechanism of rhizospheric bacterial communities in the degradation and detoxification of organic and inorganic pollutants of complex industrial wastewater. Key components of his research include the use of rhizospheric bacteria to address metal uptake by wetland plants and assessment of bioaugmentation/integration technologies for the phytoremediation of wastewater pollutants from the environment. He is the life member of several scientific societies including; The Association of Microbiologists of India, The Biotech Research Society, India and Indian Science Congress Association, India. He has authored or co-authored of 05 research papers, 05 book chapter, and 03 scientific articles.